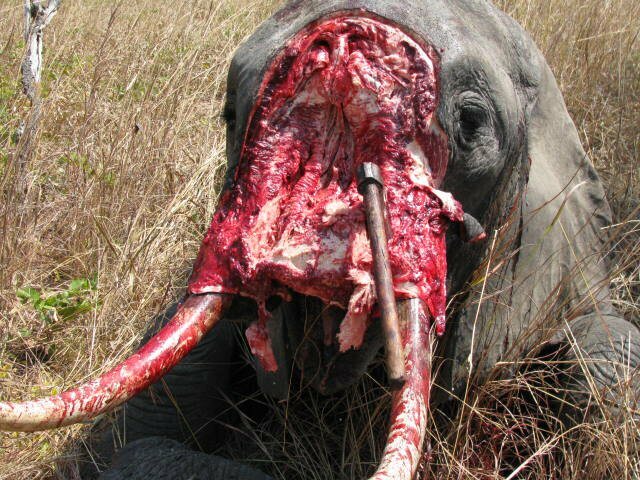 1 elephant killed every 15 minutes ! 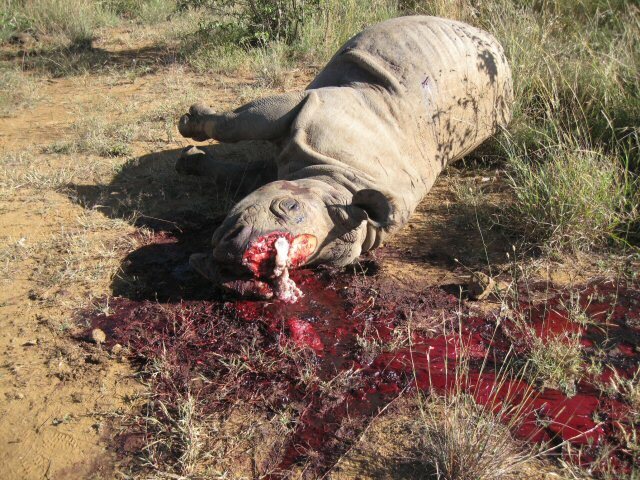 4 rhinos slaughtered each day ! During the 20th century, African wildlife lost a very large number of its representatives. The identified plagues were that of excessive sporting hunting, poaching of meat bush and territorial conflicts between men and animals. Whereas solutions were undertaken to successfully limit these plagues, we have assisted for about ten years at an explosion of poaching. Certain governments are overwhelmed and do nothing, others take action, but are sometimes criticized for their radical methods. The populations of endangered species have decreased drastically and the most alarmist scientists announce a programmed extinction of the emblematic species on a horizon of fifteen to twenty years. However before fighting a plague, it is necessary to understand it in order to manage the control of it. Why are we in this situation? What are the mechanism of criminality? It is the object of the following computer graphics. 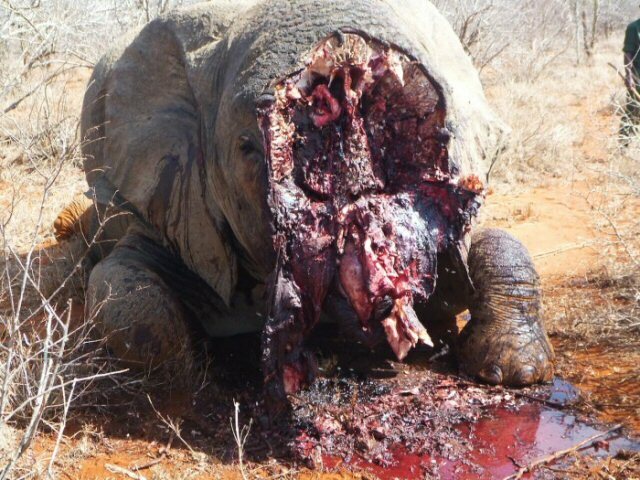 The animal species that are threatened of extinction are precicely those coveted by the criminals. 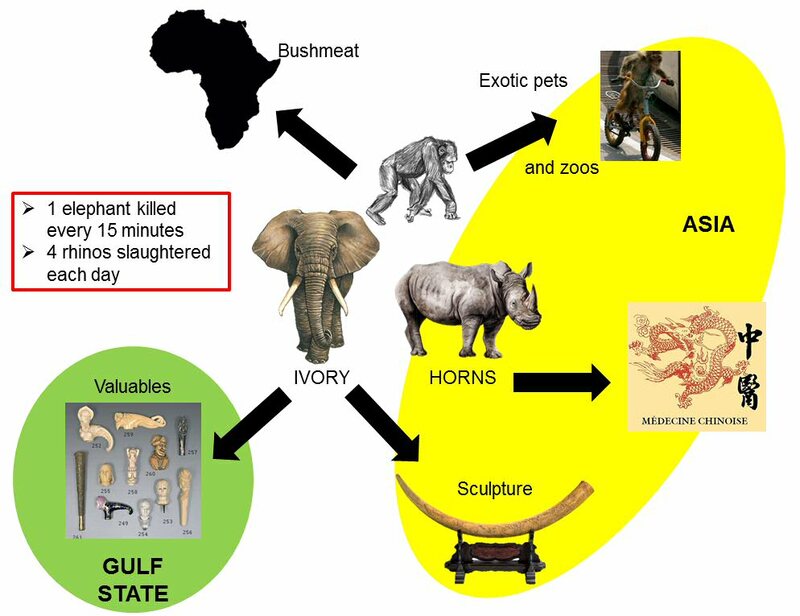 As you can see on the computer graphics, the market for elephant ivory is international, with a large majority of the request coming from Southeast Asia and Middle East Asian countries. 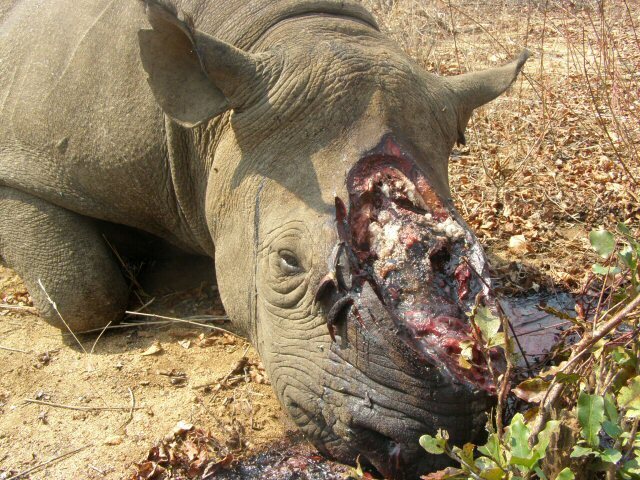 In terms of the rhinoceros' horn, certain legends allotted to traditional chinese medicine are responsible for the strong demand in Asian countries. And even if the attributes of the horn are not real, the request has still exploded. Primates and felines are also concerned. For them, demand is less pronounced, but they live in great danger and are also threatened by local national markets. We estimate that every year 8 to 20 billion euros are funneled through criminal organizations, which places the trafficking of wild species in the top four of illegal trafficking, alongside those of drugs, human beings and weapons. This situation threatens not only certain emblematic species who still survive to this day, but also feeds corruption and generates human victims as well. However it seems as though these markets are in fact inter-connected. 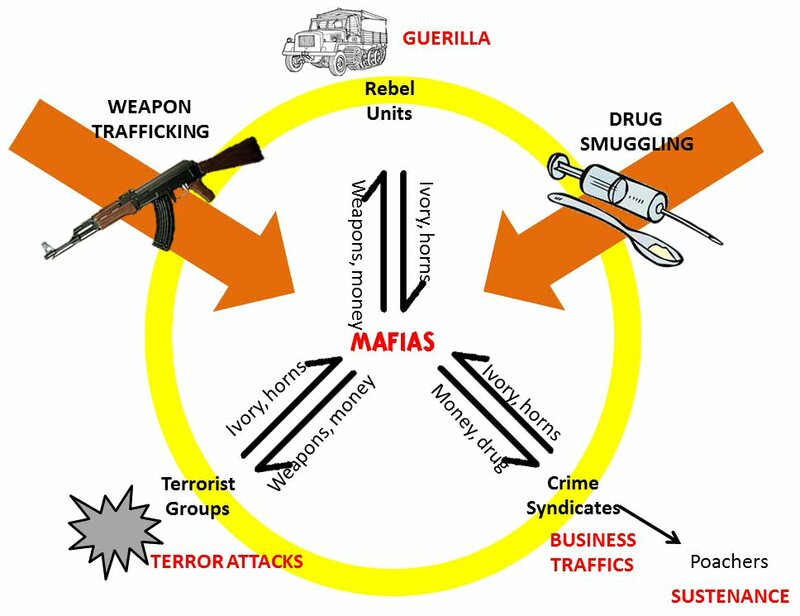 With the traffic of ivory and horn from rhinoceros, criminals in white collars recover money that they then transfer to other illicit businesses ; rebell groups and terrorists buy weapons to finance their insurrections or attacks, international mafias buy drugs which are resold in other places. 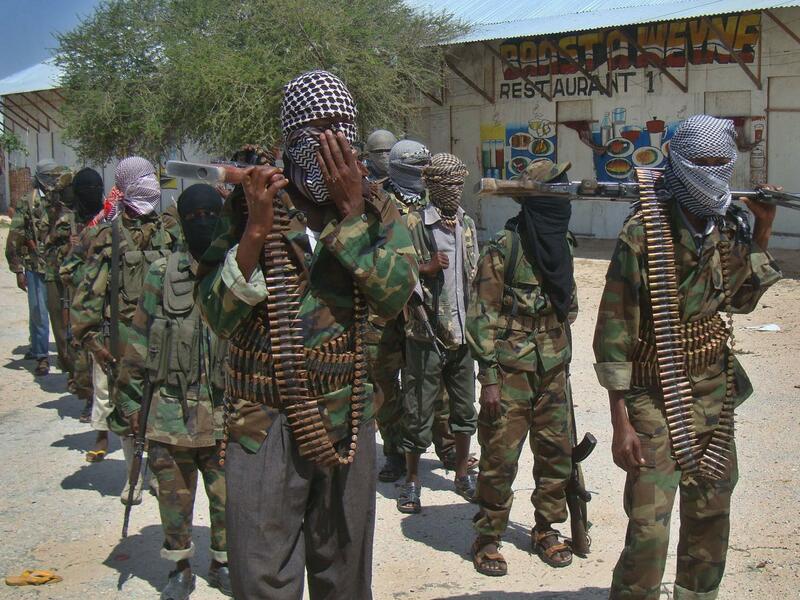 Our actions must firstly target those who organize and order this trafficking. 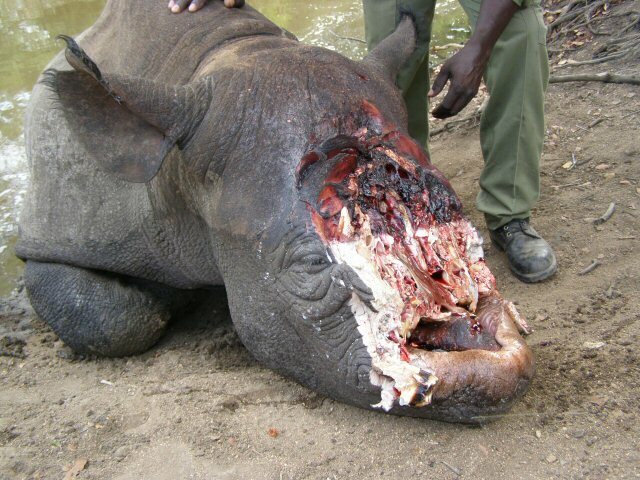 Differentiating the different forms of Poaching! 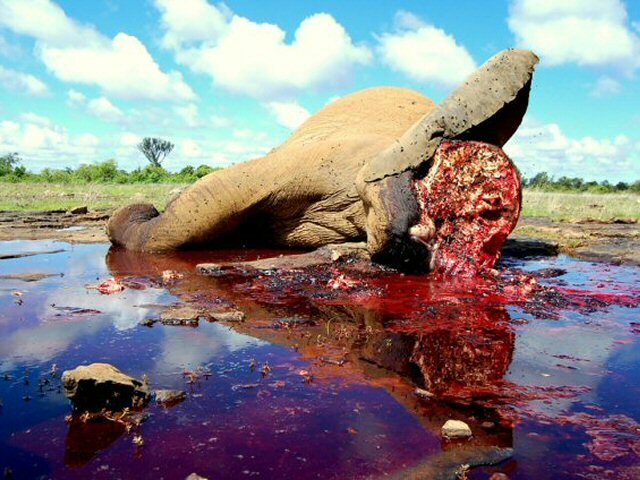 It is however essential to establish a distinction in the field between various forms of poaching. 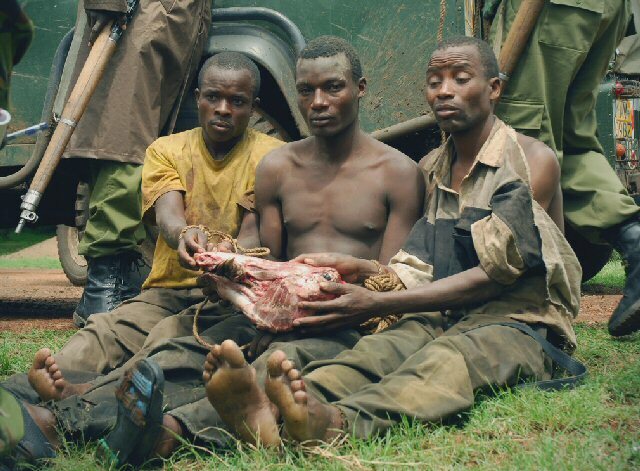 In Africa, there are ethnic groups (like the Pygmies, Hadzabés, and Bushmen) who are still practicing the “usual poaching”: they hunt according to traditional methods whereas they do not have a right to do so any more. 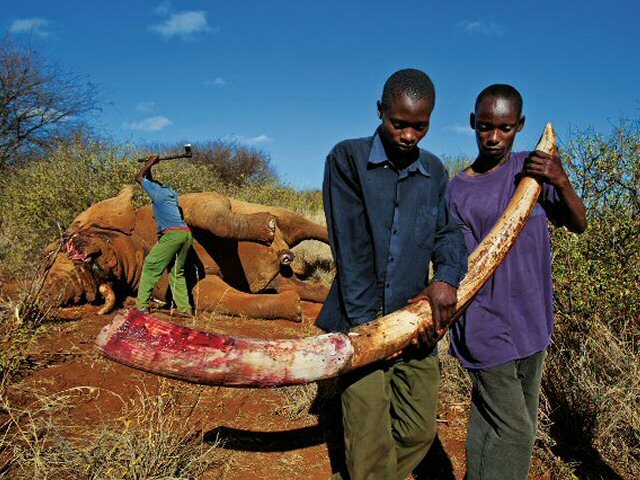 Populations who practice the “poaching of subsistence” are also concerned because they suffer from famine and are forced to kill wild animals to feed themselves. 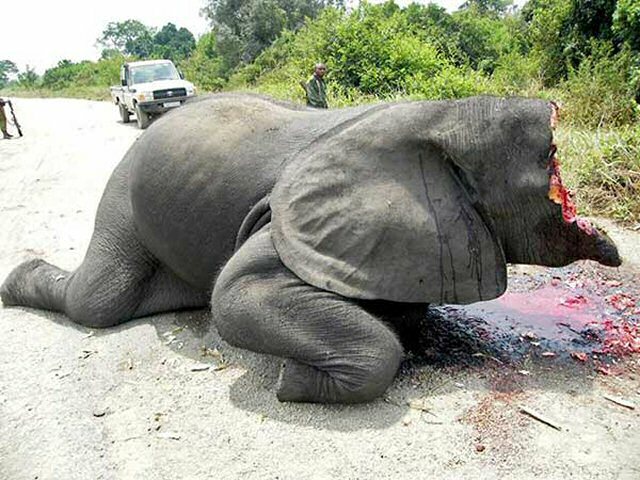 The number of animals killed in these two cases impact very sightly the global animal populations, and almost do not impact at all the species that are in danger. In such cases we are not talking about terrorist units or international criminal organizations. Our answer must therefore be adapted to the situation at hand. These populations suffer from poverty and climate change, which impoverishes the ground and drains the rivers. Those victims deserve to be understood and educated in the deepest respect of the biodiversity. These populations are not responsible for the massacres that we denounce. These images of an unbearable cruelty are not censored. 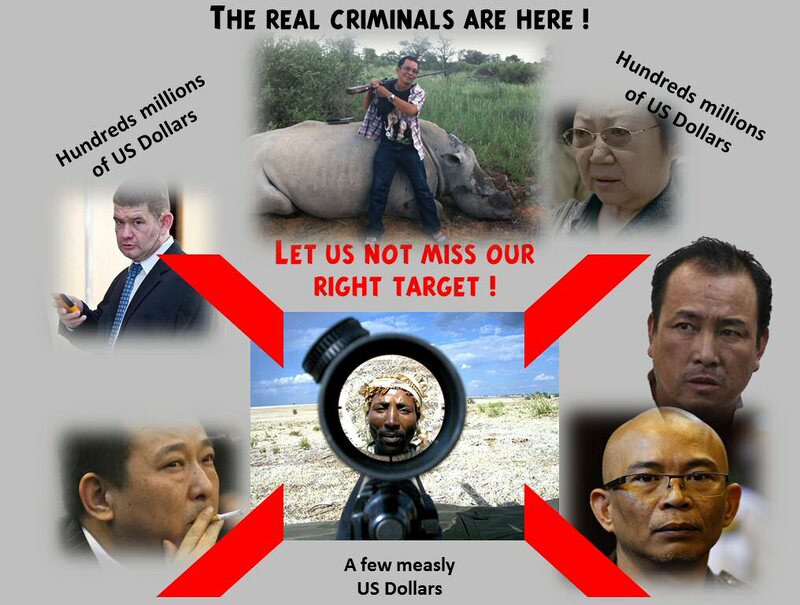 The Wildlife Angel team argues that the public needs to be aware and finally look truth in the face. Images are never cruel: one man is!